Seven compounds were isolated from the underground parts of Saussurea lappe in-cluding three steroids, pregnenolone (1), β-sitosterol (2), daucosterol (3); a phenylpropanoid glycoside, syringin (4); a lignan glycoside, l- hydroxypinoresinol-l-β- D- glucopyrano side (5); a straight chain fatty acid and an its propanedinyl ester, (z, z) -9, 12 -octadecadienoic acid (6), (z,z)- 9, 12 -octadecadienoic acid -2- hydroxy -1, 3 -propanedinyl ester (7). The structures of these compounds were determined by means of spectral and some chemical evidence. Moreover, among the seven compounds, compound 1 as a natural product has been isolated from plantS for the first time, compounds 3,4,5 and 7 have been obtained from this plant source for the first time. The roots of S. lappo C. B. Clarke afforded in addition to thirteen sesquiterpenoid con-stituents (1 and 3~ 14) reported a new sesquiterpene aldehyde (2). The structure of the new com-pound was established by spectral method. Moreover, among the thirteen known sesquiterpenoid constituents, Compound 4, 12 and 14 have been obtained from this plant source for the first time. Making use of the transforming dominant interactive gene of GMS from Brassica pekinensis to B.campestris, three sterile lines have been successfully breeded. The general tendency of the test of combining ability is as follows: homozygous sterile > fully sterile >heterozygous sterile. A restoring gene with epistaic dominant nucleus interaction character has been obtained through genetic analysis. Fertility is made of dipdysgenesis dominant interaction of GMS gene (Sp_) and epistatic dominant nucleus interaction of restoring gene (Ms_) of control. And the rela-tive genetic model is made clear. The surface ornamentation of sporoderm has been studied under SEM in 21 species of 9 genera of Sinopteridaceae. Sporoderm ornamentation is a stable genetic character. The characters of the ornamentation of genera vary remarkbly. Thus, the palynological evidence for the taxonomy of the family may be provided. These types are in keeping with the sections which are divided morphologically by Wu Shiew-hung and Ching Ren chang (1991). We provide useful and palynological data for Leptolepidium Hsing et S. K. Wu. The paper also discusses the phylogenetic tree of Sinopteridaceae. The paper present the characters of the vegetation in the Big Bend Gorge (600~ 2 500 m) of Yalu Tsangpo river, S.E. Tibet, E.Himalayas. The original vegetations of the region are mainly as follows; (1) tropical low mountain semi-evergreen rain forest: Ahtingia excelsa + Terminalia myriocarpa community, Ahtwia excelsa + Lagerstroemia minuticarpe community, KAItingia excelsa community. (2) Subtropical mountain evergreen broadleaved forest: Castanopsis hystrix + Altingia excelsa community; Castanopsis hystrix community; Castanopsis echidnocarpo + CycIobalanopsis gambleana + Lithocarpus xizangensis community; Quercus lodicosa + Cyclobalanopsis gambleana community and Quercus lanata community. etc. The embryological development of Gymnotheca chinensis Decne. isstudied in detail. At the same time, Saururus chinensis (Lour. ) Baill. and Houttuynia cordata Thunb. are studied, too. Main embryological features of every genus in Saururaceae are compared, and the systematic rela- tionships in Saururaceae are discussed. Tapetum of G. chinensis Decne. is glandular. Microspore is a simultaneous type. A few microspore mother cells don't divide at the end of meiosis II and form microspore dyad with walls. Most of the microspore tetrads are tetrahedral and there are a few other types, such as decussate, dilateral and T-shaped tetrad. Microspores have many sterile mutants at the microspore tetrad stage, and most of pollen grains degenerate at the late singe nu-cleus pollen stage, and pollen grains are empty and shrivelled when dehiscence of anthers at matur-ity. The pistil of Gymnotheca chinensis is parietal placentation, crassinucellate ovule. 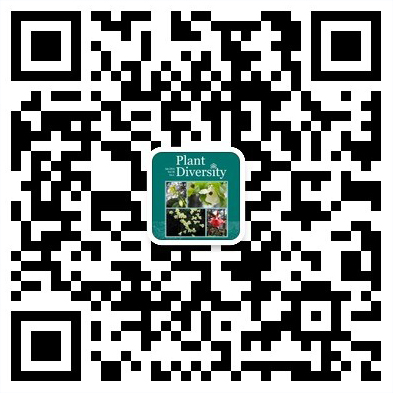 To fully understand the family Tetraphidaceae of China, based on an old collection,which only reported one genus and a single species, Tetraghis pellucida Hedw. The authors have examined 236 specimens, and have found and added some species of the family to the Bryoflora of China recently. An example is found in Tetraphis geniculata Girg. ex Mild., and Tetrodontium rependum (Funck ex Sturm) Schwaegr collected by Cao Tong, and H. Vitt from Prov. Jilin, Tetrodontium brownianum (Dicks.) Schwaegr collected by Fu Xing and Gao Qian from Sichuan. Therefore, there are about 2 genera and 4 species distributed in China. The distribution pattern of the above 4 species is discussed in this paper. Based on comprehensive information including biogeography, morphology, anatomy, cytology, reproductive biology, phytochemistry etc., the morden distribution pattern of Podophylloideae along with its original reason and effect on phylogeny has been studied in this paper. The result can be concluted as follow: (1) China is the diversity center and distribution center of Podophylloideae. The modern distribution pattern of Podophylloideae plants is the re- sult of long time isolation and geographical substitute since Tertiary. (2) Among the group, the genus Diphylleia is the most primitive, it evoluted in two ways, one way is switch to autogamy, from Diphylleia to Dysosma and then to Sinopodophyllum, another way is remain allogamy, from Diphylleia cymosa evoluted to Podophyllum peltatum. (3)There is no derect relationship between Podophyllum and Sinopodophyllum, the resemblance of morphology is just the result of parallelism. Species P. deltodontis (Bak.) Diels similis,differt habitu majore, lamina apicem versus caudata, pinnis triangulari-falcatis, marginearistato-serratis, textura laminae subcoriacea. A typo appendice basi alati-petiolata, inflorescentia staminata non floribusi masculinis sterilibus in parte superiore differt. Sageretia brandrethiana auct non Aitch: Y. L. Chen et P. K. Chou in Fl. Reip. Papul. Sin. 48(l): 9, fl(3~4). l982. Species affinis Sageretiam brandrethianam Atich., sed differt foliis crassicoriaceis, margine paulo revolutis, biformatis; parvis foliis lanceolatis, lateralis nervis inconspicuis; magnis foliis ellipticis, lateralis nervis 3~4 jug., conspicuis. Species nova affinis O. kansuensi Bunge, sed planta acaule, pi1is dense vestita, foliis non nisi l.5~6 cm longis, foliolis ovatis vel oblongis 2~7 mm longis, l~3 mm latis, peduncu1is l~6 cm longis, vexilliorum limbis longo-ovatis, alis apice oblique obtusis vel interdum retusis differt. Species affinis A. oblongo Wal1. ex DC. a quo foliis majoribus subtus dense pubescentibus, alis samarae majoribus, nuculis leviter convexis differt.Arbor usque 30 m alta. Ramuli subterstes, glabri. Folia coriacea, elliptica, 9~l5 cm longa, 6~l0 cm lata, integra, apice acuminata, basi rotundata, supra viridia glabra, subtus pallide viridia, dense pubescentia; costa supra conspicua, subtus elevata, petioli 3~5.5 (~7) cm longi, glabri. Flores no visi.Infructescentiae recemosae, 10~l4 cm longae, glabrae, brunneae. Nuculae leviter convexae, glabrae; alis spathulatis 1.5 cm latis, nuculis inclusis 6 cm longis, erectis glabris. 'Xia-ye-gui' is a valuable plant of Cinnamomum recently discovered in China. The main constituent of its leaf essential oil is safrole whose content is up to 97%~ 99%. As an impor-tant source of safrole, its exploitation and utilization are in prospect. But its botanical name is confusing now. It is regarded sometimes as a variety or even a form of Cinnamomum burmannii (C. G. & Th. Nees) Bl. We prefer to regard it as a distinct species based on its morphology, habitat, phenology and chemical constituents in comparision with those of C.burmannii. 'Xia-ye-gui' is evidently an ancient riparian relic closely related to C.burmannii, but its botanical name is C. heyneanum Nees. The Taohe river in Gansu province is located in the connuent zone of Loess Plateau and Qinghai-Xizang plateau, where the seed plants are relatively abundant in species. According to preliminary statistics, the seed plants in this area comprise 1346 species (incl. ssp. and var. ), 448 genera and 100 families. The primary characteristics of the spermatophyte flora from the Taohe river are: rich in species, complex in geographical elements, having an extensive connection with nearby fioristic areas, but with temperate elements as absolute predominance, basically of N temperate in nature, and its floristic elements showing very obvious transition. On the basis of the distribution of endemic species and some physiographical features, the flora of middle-upper reaches of Taohe river belong to the subregion of NW Sichuan, S Gansu and SE Qinghai of Hengduan mountain, and the lower reaches of the river to the subregion of Loess Plateau of North China. Stilbanthus Hook. f is a rare monotypic genus of the family Amaranthaceae. The taxonomic description and the drawing of this genus and species was first reported in Yunnan in this paper according to the specimens from Wuliang Mountain and Luxi County of Yunnan. Till now, the existence of this genus in Yunnan has not been known for certain. Furthermore, this pa- per indicated that there was a mistake in the description and the drawing of the staminodes of this species in Hook. Ic. Pl., 67, pl,1286 in 1879. In fact, the staminodes of this species are not "penicillatis" but lacerate. And the distribution pattern of this genus was discussed. 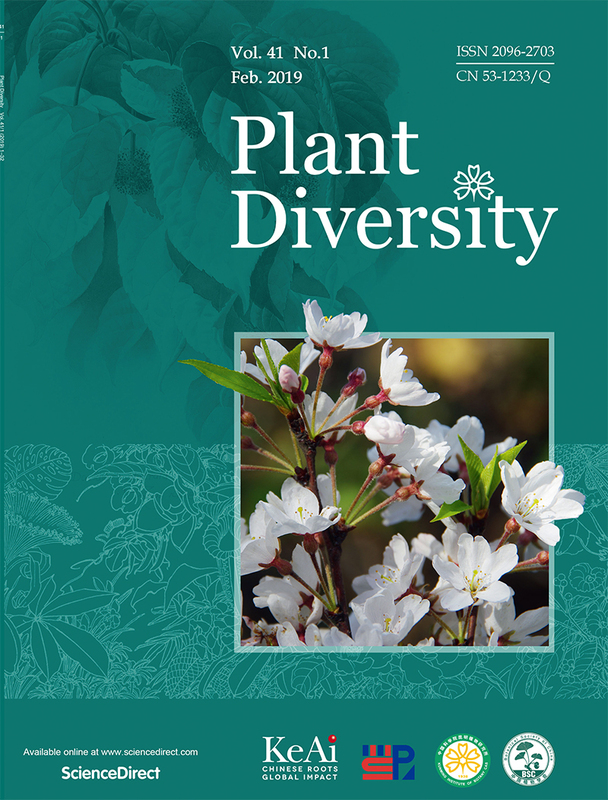 There are 2 540 species in 1 026 genera and 207 families of seed plants in Mt. Wuliangshan which is located in the south-central part of Yunnan province, Southwest China. Among them, 10 families are endemic to East Asia, 27 genera to China and 67 species to Mt. Wuliangshan. The region is rich in plant taxa and more or less evident in endemism. After making a careful study on the endemism of the,familial rank, we have the conclusion that the fact that the region has more taxonomically isolated endemic families to East Asia reflects that this flora is a part of the older one of East Asia, and that its geological history is in accordance with that of East Asia and is closely linked with the origin place of East Asia. The endemism in the generic rank indicates that Mt. Wuliangshan has no relatively high percentage of endemism as the hinterland of Yunnan which is located in the high percentage area of endemic genera to China.